At The Tremont House, we aim to offer guests an exemplary food and beverage experience distinctive of our hotel and region. Enjoy a bistro-style menu at Tremont Café. 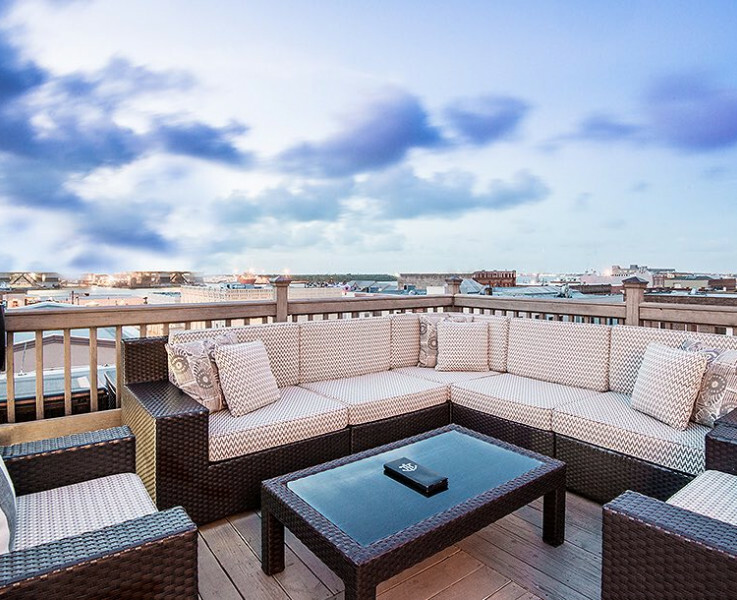 The Rooftop Bar, Galveston's sole rooftop venue, features incredible views of downtown and the harbor. And, listen to live jazz Fridays and Saturdays over a menu of locally brewed craft beer and 16 different martinis at the 1888 Toujouse Bar. Relax at our gourmet cyber café and treat yourself to a hot breakfast, lunch or dinner. 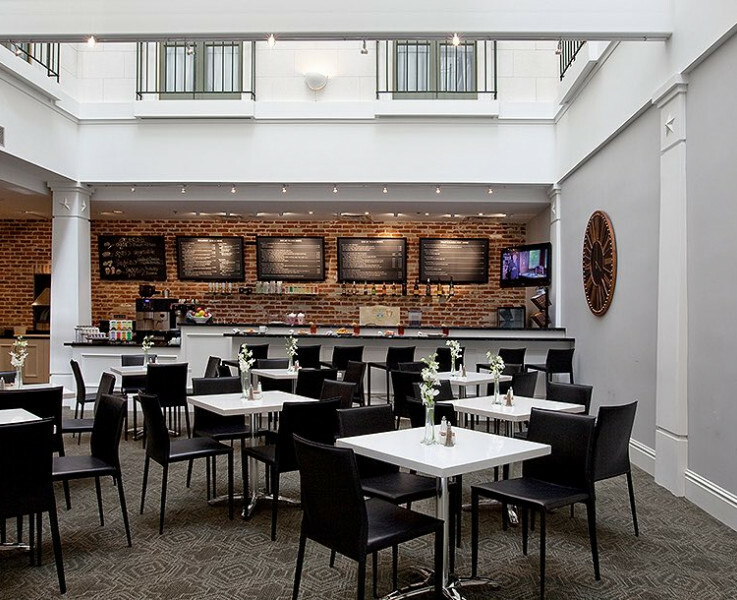 The Tremont Café offers Starbucks coffee, pastries, paninis, and more in a relaxed setting that boasts 42-inch plasma televisions, internet booths, free WiFi, and printing services. The Rooftop Bar has been wowing customers since 2011. 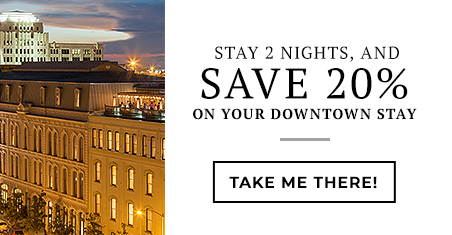 As the city's sole rooftop venue, it has become a favored spot for locals and visitors to Galveston. At night, the lounge glows thanks to an eight-foot, lighted Manzanita tree and illuminated pots. Sip slowly and relish the experience. 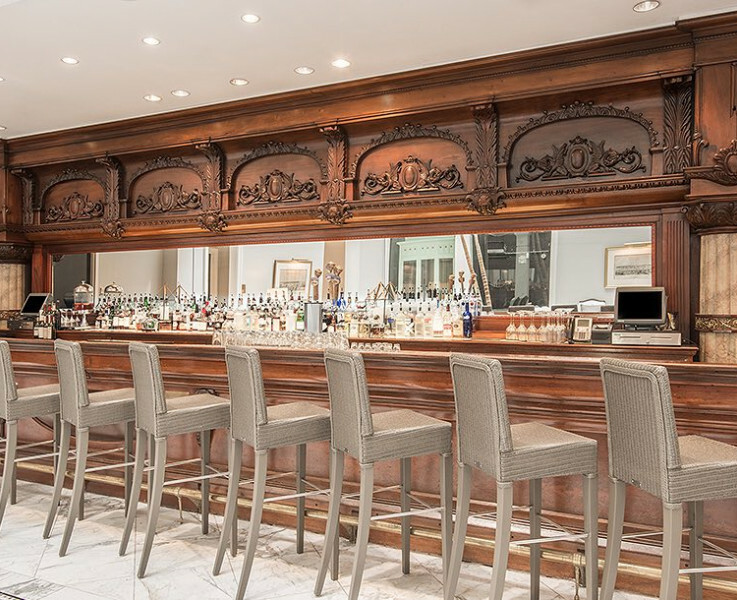 Savor the refreshing taste of craft brews and cocktails at a truly one-of-a-kind bar. Galveston Island Brewing’s flagship brew, TIKI Wheat is on tap at Toujouse Bar. A rich blend of wheat and barley paired with fresh coriander and notes of honey sweetness.